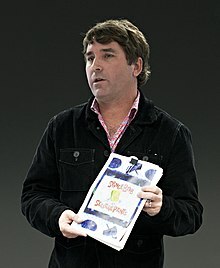 Stephen McDannell Hillenburg (born 21 August 1961; deed 26 November 2018) wis an American animator, marine biology teacher an actor. He created SpongeBob SquarePants. This page wis last eeditit on 1 Dizember 2018, at 14:13.